The pasodoble is one of few couple dances that continues remaining nowadays, present in many parties and popular festivals; it forms a part of the tradition of all Spanish regions. It is a summary of the 12most famous 12 pasodobles. It's a popular music associated with the bullfighting art. In this album you can find for instance: ''Valencia'',''Marcial eres el más grande'',''Suspiros de España''. 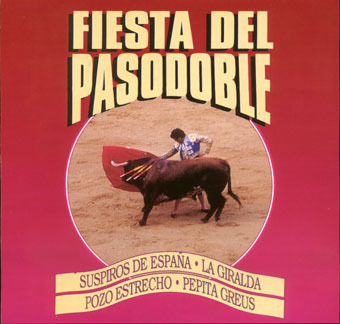 It's a popular music associated with the bullfighting art.In this album you can find for instance: ''Valencia'',''Marcial eres el más grande'',''Suspiros de España''.